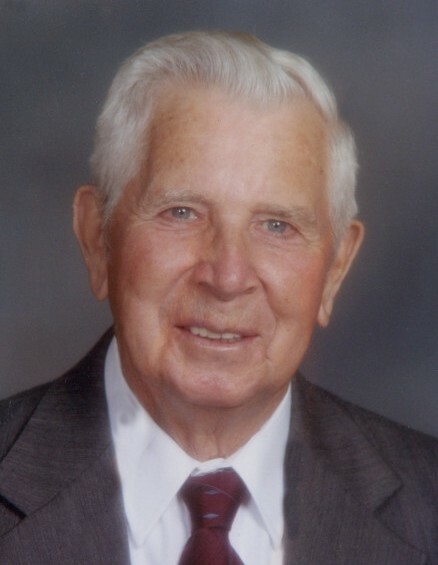 Burlington-Vernon Warren Andrews, 97, went home to be with the Lord on Tuesday, January 29, 2019 at the Homeplace surrounded by his family. He was a native of Alamance County and the son of the late William A. Andrews and Maggie Baulding Andrews and his beloved step mother, Rochina Stuart Andrews, who was a dedicated Mother to him and his sibling in their early years. Vernon retired from Burlington Industries Pioneer plant # 2 after 34 years of service. He was a World War II veteran and served over 3 years in both the European and Pacific Theater. He was a charter member of Faith Bible Chapel having faithfully served as chairman of the deacon board for numerous terms, a trustee and various church committees. Vernon was respected by all who knew and loved him during the course of his long life. Survivors include his son, Donnie Andrews of Burlington and a daughter, Rebecca A. Wicker and husband, Frank of Atlanta, Georgia; grandchildren, Andy (Sunshine) Andrews, Leigh A. Dennis, Matthew (Kristen) Wicker and Jason (Brenda) Wicker; great grandchildren, Madison Andrews and Brooks Matthew Wicker, Nessa Wicker, Bowen and Noble Wicker. He was preceded in death by his parents; mother of his children, Irene Beckom Andrews and former wife, Ollie Mae Iseley Vaughn Andrews; sisters, Beulah A. Yarbrough, Lucille A. Rice and Mabel A. Long; brothers, Jesse M. Andrews, James W. Andrews and Luther Andrews. The family would like to thank the nurses and staff of Hospice, special caregivers and the nurses and staff of Homeplace for their kind and compassionate care. A service to celebrate his life will be held on Friday, February 1, 2019 at 2:00PM at Lowe Funeral Home Chapel by Rev. Mark Robertson and Mack Ray. The burial will follow with military honors at Alamance Memorial Park. The family will receive friends from 12:30-1:45PM prior to the service at the funeral home. In lieu of flowers memorials may be made to Hospice and Palliative Care of Alamance-Caswell, 914 Chapel Hill Road, Burlington, NC 27215.